For the past twelve months I was immensely proud to be one of the first Open Knowledge Foundation Panton Fellows, but that has now come to an end (naturally). In this post I will try and recap my activities and achievements during the fellowship. and I’m pleased to say that I think I achieved all four of these goals with varying levels of success. Even international conferences over the pond such as Henning XXXI (California), June 2012 & the Society of Vertebrate Paleontology 72nd annual meeting (North Carolina), October 2012. At all of these I made clear my views on open data and open access, and ways in which we could improve scientific communication using these guiding principles. Indeed I was more than just a participant at all of these conferences – I was on stage at some point for all, whether it was arguing for richer PDF metadata, discussing data re-use on a panel or discussing AMI2 and how to liberate open phylogenetic data from PDFs. One thing I’ve learnt during my fellowship is that just academic-to-academic communication isn’t enough. In order to change the system effectively, we’ve got to convince other stakeholders too, such as librarians, research funders and policy makers. Hence I’ve been very busy lately attending more broader policy-centred events like the Westminster Higher Education Forum on Open Access & the Open Access Royal Society workshop & the Institute of Historical Research Open Access colloquium. Again, here in the policy-space my influence has been international not just domestic. For example, my trips to Brussels, both for the Narratives as a Communication Tool for Scientists workshop (which may help shape the direction of future FP8 funding), and the ongoing Licences For Europe: Text and Data Mining stakeholder dialogue have had real impact. My presentation about content mining for the latter has garnered nearly 1000 views on slideshare and the debate as a whole has been featured in widely-read news outlets such as Nature News. 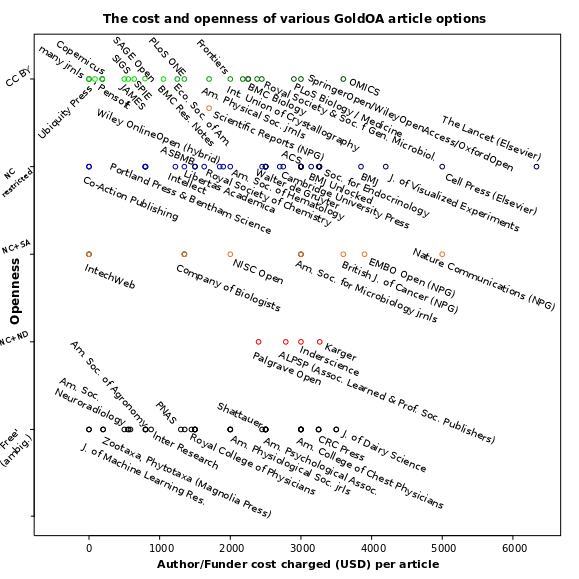 Indeed I’ve seemingly become a spokesperson for certain issues in open science now. 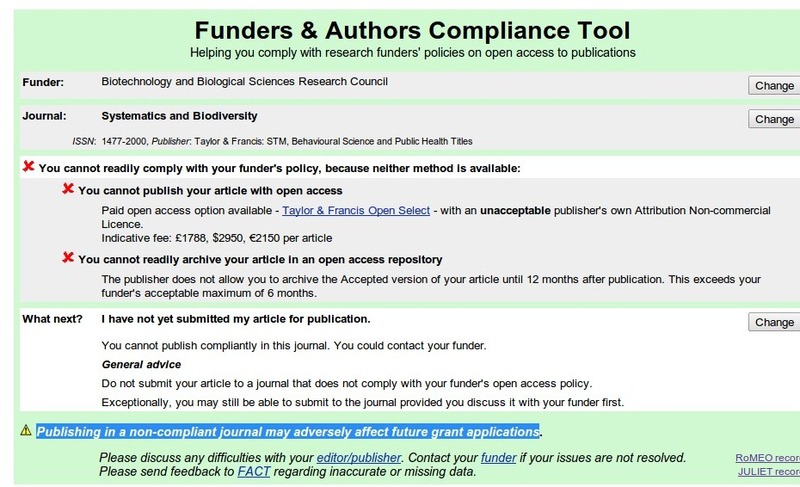 Just this year alone I’ve been asked for comments on ‘open’ matters in three different Nature features; on licencing, text mining, and open access from an early career researcher point-of-view – I don’t see many other UK PhD students being so widely quoted! Another notable event I was particularly proud of speaking at and contributing to was the Revaluing Science in the Digital Age invite-only workshop organised jointly by the International Council for Science & Royal Society at Chicheley Hall, September 2012. The splendour was not just in the location, but also the attendees too – an exciting, influential bunch of people who can actually make things happen. The only downside of such high-level international policy is the glacial pace of action – I’m told, arising from this meeting and subsequent contributions, a final policy paper for approval by the General Assembly of ICSU will likely only be circulated in 2014 at the earliest! The most exciting outreach I did for the fellowship were the ‘general public’ opportunities that I seized to get the message out to people beyond the ‘ivory towers’ of academia. One such event was the Open Knowledge Festival in Helsinki, September 2012 (pictured above). Another was my participation in a radio show broadcast on Voice of Russia UK radio with Timothy Gowers, Bjorn Brembs, and Rita Gardner explaining the benefits and motivation behind the recent policy shift to open access in the UK. This radio show gave me the confidence & experience I needed for the even bigger opportunity that was to come next – at very short notice I was invited to speak on a live radio debate show on open access for BBC Radio 3 with other panellists including Dame Janet Finch & David Willetts MP! An interesting sidenote is that this opportunity may not have arisen if I hadn’t given my talk about the Open Knowledge Foundation at a relatively small conference; Progressive Palaeontology in Cambridge earlier that year – it pays to network when given the opportunity! The fellowship may be over, but the work has only just begun! I have gained significant momentum and contacts in many areas thanks to this Panton Fellowship. Workshop and speaking invites continue to roll in, e.g. next week I shall be in Berlin at the Making Data Count workshop, then later on in the month I’ll be speaking at the London Information & Knowledge Exchange monthly meet and the ‘Open Data – Better Society’ meeting (Edinburgh). Even completely independent of my activism, the new generation of researchers in my field are discovering for themselves the need for Open Data in science. The seeds for change have definitely been sown. Attitudes, policies, positions and ‘defaults’ in academia are changing. For my part I will continue to try and do my bit to help this in the right direction; towards intelligent openness in all its forms. I’m going to continue working closely with the Open Knowledge Foundation as and when I can. Indeed for 6 months starting this January I agreed to be the OKF Community Coordinator, Open Science before my postdoc starts. Then when I’ve submitted my thesis (hopefully that’ll go okay), I’ll continue on in full-time academic research with funding from a BBSRC grant I co-wrote partially out in Helsinki(!) at the Open Knowledge Festival with Peter Murray-Rust & Matthew Wills, that has subsequently been approved for funding. This grant proposal which I’ll blog further about at a later date, comes as a very direct result of the content mining work I’ve been doing with Peter Murray-Rust for this fellowship using AMI2 tools to liberate open data. Needless to say I’m very excited about this future work… but first things first I must complete and submit my doctoral thesis!